Over time garage door springs can get worn out from continual opening and closing. The metal weakens and can break. We provide an assortment of springs for the repair and/or replacement of your garage doors. When you have a broken garage door spring, call one of our specialists in Beaverton. We provide you with unparalleled experience in residential and commercial garage doors Beaverton. We provide all of your garage door needs including Garage Door Repair, Services, New Garage Doors and Spring Repair. We provide mobile service with a fully equipped truck for garage door repair. Our mission is to provide you with thorough garage door service for your home or business. We specialize in repairing Garage Doors Beaverton which includes but is not limited to Traditional wood styles, Modern steel and aluminum styles, Frames and Broken springs. Garage doors do so much for your home and business. The right garage door delivers the benefits you want. Insulation reduces your heating and cooling costs. Classic to modern, rustic to stately—get the perfect look. Protect stored items and your home from unlawful break-ins. Transform your garage door with wireless features. 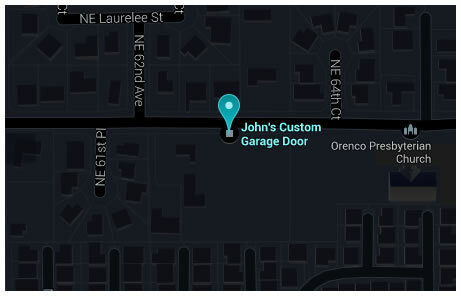 Finding the right door begins with John’s Custom Garage Doors. Our company has been providing stellar local service for 60 years! We have always remained a family owned, family operated company. We are now a fourth generation family business. What does that mean for you? Not only are you supporting a locally-owned business, but you are also getting unparalleled experience and knowledge. We can quickly identify your needs and help you find the right service. Our technicians can install new doors, replace old or damaged ones, retrofit doors with the latest technology, and repair and maintain modern and older doors alike. Our services are friendly, prompt, and come with free phone assistance. John’s was built on exceptional, local, service. Beaverton made us what we are today, and providing you with affordable, reliable services are what we do best. We only use premium brand names and all of our broken spring repairs come with a four-year warranty. Get mobile garage door servicing now! Our mobile service is always ready to respond when you need service now. Emergency situations can leave you stranded. We have fully-equipped trucks ready to respond to any garage doors or garage door opener problem. Whether it is a broken spring, a defective garage door opener, or a broken garage door motor belt we can repair or replace whatever is needed. Call us today for a free quote. We are your friendly, reliable family business for all your garage door service needs in Beaverton. We provide services for all commercial and residential garage door makes and models. 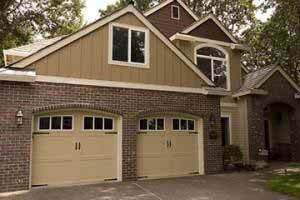 We only install garage door makes and models from industry recognized companies. Built to last longer, insulate better, and protect your home, now is the time for a change. If you already have a door we can retrofit it, repair it, or provide maintenance that will keep it running long into the future. Get generations of local service. Call or contact us today! © 2019 John's Custom Garage Doors. All Rights Reserved.